Stuttering is one of those areas that speech-language pathologists don’t learn a lot about in graduate school. We doubt our ability to treat this disorder well, especially given the “iceberg” of emotions that students who stutter are often experiencing. We freeze up and don’t know where to start! You do have the foundation that we need to help students who stutter. (Even if we need to take a course or two or do some reading to boost our confidence and make sure we’re up-to-date on evidence-based strategies.) No worries! 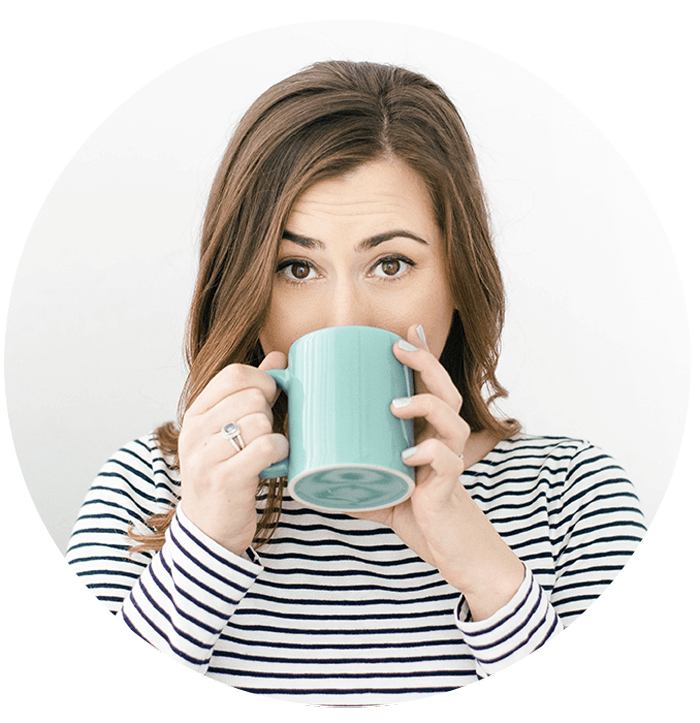 We’re diving into stuttering for four whole weeks on the blog! If you’re not sure where to start, you will walk away from this series with a clearer direction! Before we dive into treatment, however, we need to cover the evaluation. This will help us determine whether or not a student would benefit from therapy to address his/her stuttering, and it’ll give us a great starting point so we can develop a clear therapy plan. 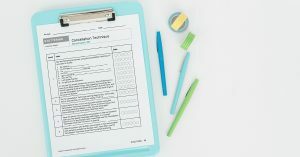 Here are some components to include in your assessment (and why)–based on ASHA’s super helpful assessment guide. We want to collect background information. Does the student have any significant medical history? Is there a family history of stuttering? When did the student start stuttering? How long has the student been stuttering? This can be super helpful when looking at risk factors. It’s also super helpful to take a look at past evaluations/treatment notes (if they’re available). We’ll have insight into the student’s progress over time and what worked (and what didn’t work) in therapy. 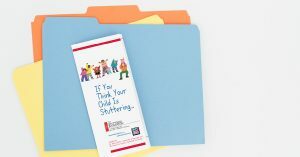 We can also collect information from the parent and/or teacher to understand how stuttering is impacting the student and/or what that looks like across a variety of contexts. The Stuttering Severity Instrument (SSI-4) is a norm-referenced stuttering assessment. Another option is the Test of Childhood Stuttering (TOCS). Both assessments provide information about the severity of the student’s stuttering. For more informal data, we can collect speech samples across a variety of contexts (e.g., when telling a story, when speaking with peers) and track the number of disfluencies. There are several measures available to assess the impact of stuttering on the student’s life. The Overall Assessment of the Speaker’s Experience of Stuttering (OASES) is a self-report that allows speech-language pathologists to measure the impact of stuttering on a student’s life. Alternative assessments include the KiddyCAT (for 3- to 6-year-olds) or the CAT (for 6- to 15-year-olds). The TOCS (mentioned above) also includes materials that SLPs can use to collect additional information when assessing the impact of stuttering. We also want to make sure that all other areas are being addressed. Does the student struggle with any of the following? Based on all of the information that we collected, what can we leverage in therapy? What are the student’s strengths? Has he/she implemented some strategies independently? That sounds like a lot, doesn’t it? If you’re looking for a quick cheat sheet, check out Stephen Groner’s One Page Stuttering Assessment. It will help you keep track of all of these components in a super organized and easy-to-read format. Stay tuned for more blog posts in the Stuttering 101 series! 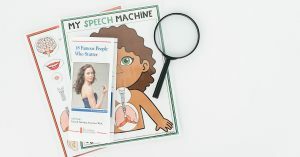 If you want more resources, then check out the fluency materials (created by Stephen Groner) in the SLP Now Membership!